Our Camu Camu has a 11-12% Vitamin C content: which makes our 100g pack the equivalent of approx 160-170 medium sized oranges (70mg of Vitamin C in each orange). 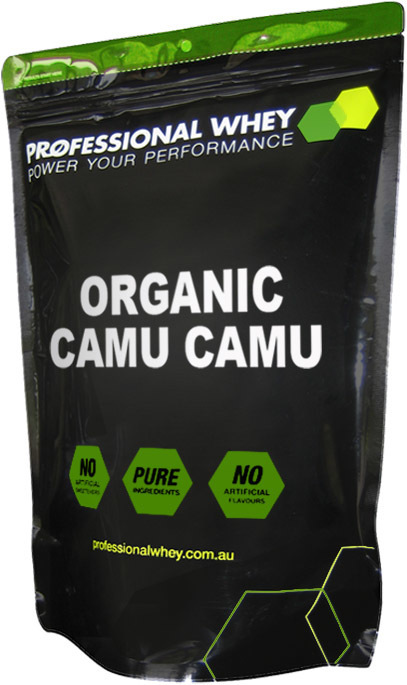 Camu Camu also contains Bioflavonoids and B Vitamins. It has traditionally been used to support the immune system and help maintain optimal health, especially under conditions of stress and anxiety, which tend to deplete the immune system. 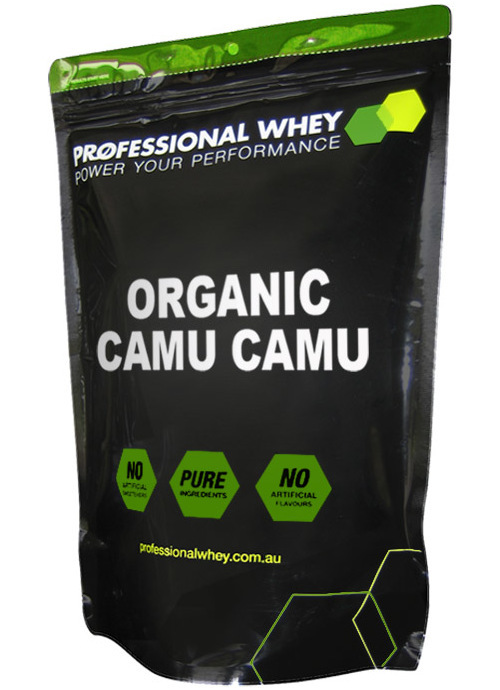 Mix 2g of Organic Camu Camu into 100ml of yoghurt, juice or water daily. Wish I'd gotten onto this years ago. If you're like me, mid 50's train hard, stay active etc. But have strong joint pain, arthritis, bad knees slowing you down. Not to mention getting fatigued. Then get onto this. This stuff is the perfect complement to my daily morning mix, plus pre and post workout mixes. Since using this, I've been able to stop using NSAIDS, reduce herbal anti inflammatory supplements, and yeah I've used them all over the decades. Plus lift my game in the gym and in the water due to increased energy. Add to that, stripping down floppy bits and getting toned up. End result for me, less inflammation, more energy, easier fat burning, and generally feeling better all round. Do your research nothing gives us the ability to use vitamin C like camu camu does. I'm sold.